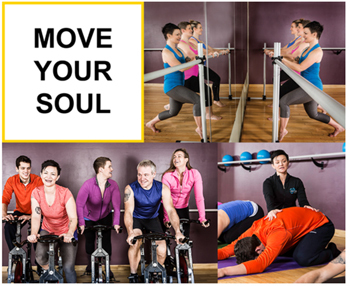 Offer good for 5 sessions - you can choose from barre, cycle and yoga. You will need to register online in advance before attending a class, once you purchase you will receive further instructions on your voucher. No walk ins due to class sizes being limited. Please arrive 10 minutes early so you don’t need to rush to prepare for class. To respect others, no late entries please. We lock the doors when class begins. Barre Bliss, a Barre, Cycle and Yoga studio located in St. Louis Park and Uptown. The Foundations of our barre technique is yoga, dance conditioning, isometric movements and ballet. Unlike any other “barre workout” we combine these principles into one class to sculpt, tone and leave you feeling invigorated. We are focused on long term, sustainable results. Cycling Sculpt, a combination of upper body strength and cycling. All levels of yoga classes all focused on the fundamental principle of posture and breath. Classes are designed for all fitness levels. Please bring mat, water bottle and indoor shoes for cycling class(no outdoor shoes allowed inside the studio). Valid at St. Louis Park or Uptown locations only.